Your teens have always had you there for them as a great support system while they prepare for the next chapter in their lives—being on their own. Whether they’re going to college or moving into their own place for the first time, these tips can help them get ready to make the most of their exciting and independent adventure. Make sure your teens know how to do the things they may have relied on you to do for their entire lives, like laundry, cleaning, or making a good grilled cheese sandwich. Have them help you with these tasks until they feel comfortable giving it a shot on their own. If they already know some of that stuff, great; you’re both off to a great start. Taking charge of their own financial situation can be scary for them, and for you. Teaching them to budget correctly and not spend beyond their means is something that will serve them well for the rest of their lives. And helping your teens set up checking, savings, and other financial accounts is a good opportunity to explain the purpose of each one. As for bills, try stressing the importance of paying on time and how their actions may affect their credit score down the road. There are plenty of online and mobile tools that make it easy to automate paying bills. When they’re getting closer to the move, give them a hand stocking up on essentials like cleaning and school supplies, or common kitchen ingredients and utensils—either for the school year or for their new place. This can be a great opportunity to teach your teens how to budget, too. Give them a spending limit to furnish their place or get school supplies as practice. It’s also a good time to talk about the expectations and guidelines you have for them as they go out on their own. Whether it’s about checking in, coming back to visit, or letting them know how much financial support you’ll be providing, clear communication is important. And before they head out, check in with them to ensure they’re both physically and mentally healthy. That could mean anything from getting a physical to sitting down and talking about their anxieties around the move. Either way, be sure to let them know that even though they’re taking a major step toward independence, you’ll still be there when you need them. Another important life lesson every teen can use is understanding the importance of living life with less worry. And that begins with protecting your home, belongings and car. 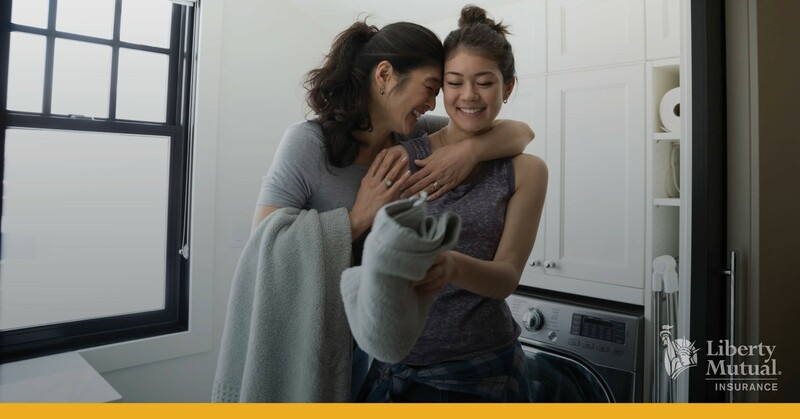 For a free, no-obligation quote on Liberty Mutual home, renters or auto insurance, call 1-888-953-2146 or visit www.libertymutual.com/NFIB. NFIB members: Get savings on auto and home insurance.